We had an enjoyable Sunday guided walk, with a Black Skimmer on the highlight reel for maybe half of the participants. We also had great views of an energetic Marsh Wren, one of the 37 species seen on the walk. The walk was sponsored by the N.J. Meadowlands Commission and Bergen Audubon. 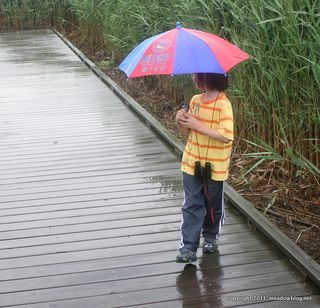 Thanks to all who participated, including the two young birders who helped us hone our observation skills, and the other young birder who liked to splash in the puddles and who reminded some of us how much fun it is to be a kid.